The Japanese Friendship Garden, located in the Balboa Park area of San Diego is a lush oasis of asian horticulture. It's also great for kids who want to get out and explore. If you are local, a membership to the museum gains you reciprocal entrance to the San Diego Botanic Gardens as well as hundreds of other botanic gardens and arboretums. If you bring kids, you will want to note that there are rules about walking on the grass, etc. that may be difficult but not impossible for very young children. There are also several water features that are not child-proof so be sure to keep a close eye on your kiddos. There is a koi pond that is really fun for kids. There are two main areas, the upper garden by the entrance and the lower garden that zig zags into a little valley. The garden is cared for with meticulous precision and is a testimony to the culture it embodies. Volunteers spend hours tending to every plant, tree and bush. On our recent trip there was a woman painstakingly pruning a plant of the hillside. When I asked he if she was tired she responded with a smile and said "No, I just love this." There are also guided tours where they guide you through the flora and fauna. Day Date: An excellent proposal and day date spot. 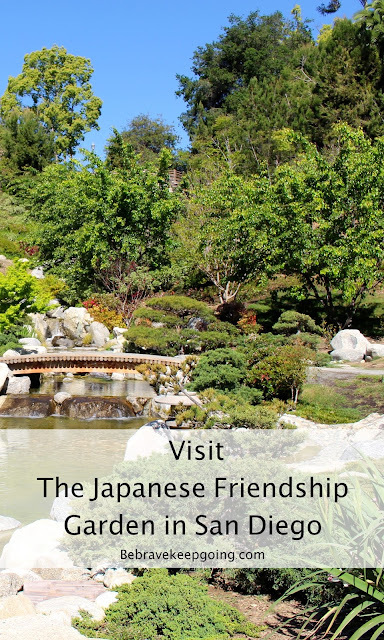 Whether you just want to traverse the grounds with your significant other or you want to ask the big questions in one of the most serene and beautiful spots in San Diego, the Japanese Friendship Garden is one of a kind. If you are a local hobby or professional photographer, the Japanese Friendship Garden provides ample photographic opportunities. We loved it so much, and since it had so many reciprocal benefits, we decided to become members. For more information about tickets, exact location, and hours visit the Japanese Friendship Garden website. If you liked this, you might also want to check out or visits to the San Diego Botanic Garden and the Freeflight Bird Sanctuary.